Acquired by present owner from Harmer Rooke Galleries in 1990 and in an old American collection prior to that. 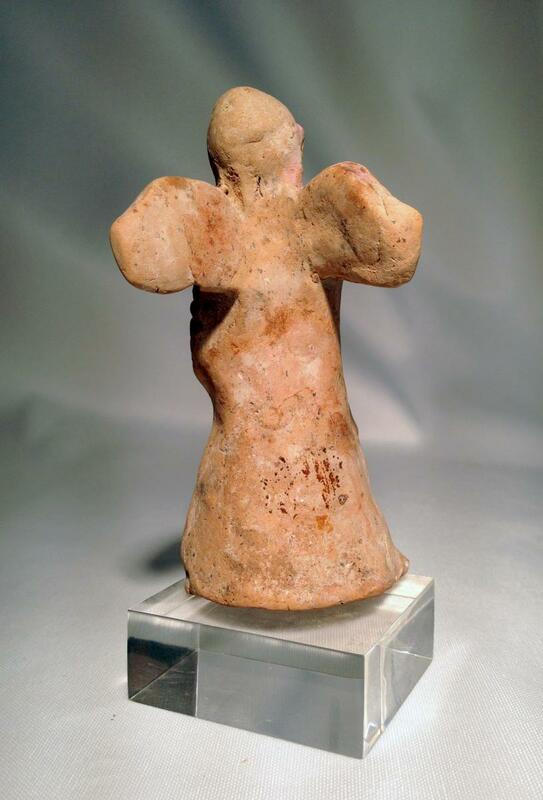 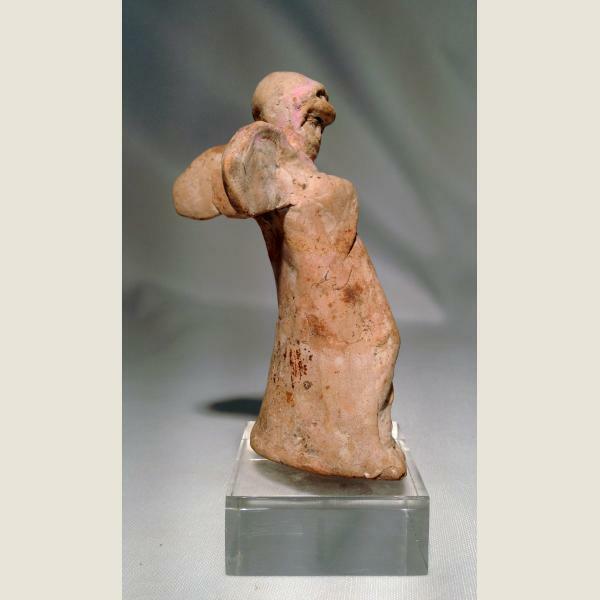 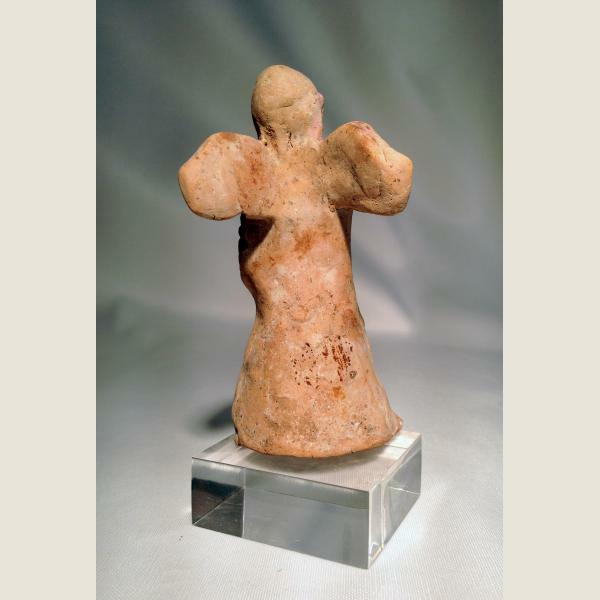 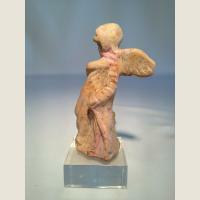 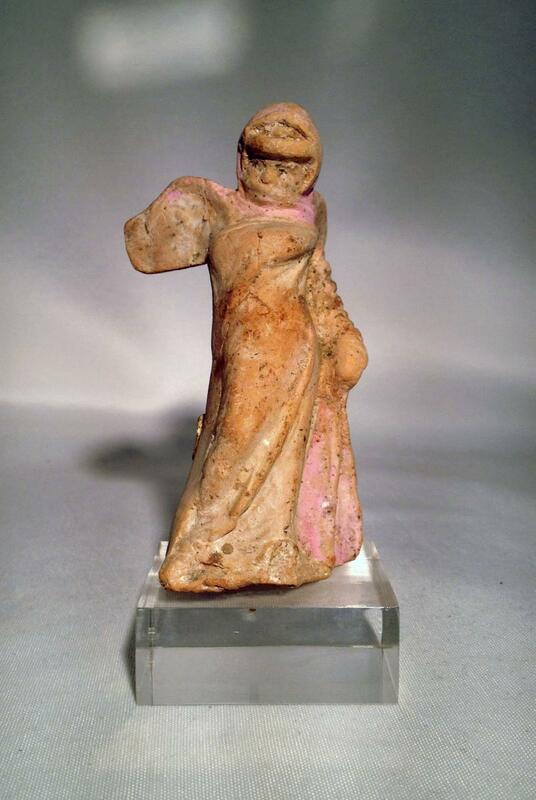 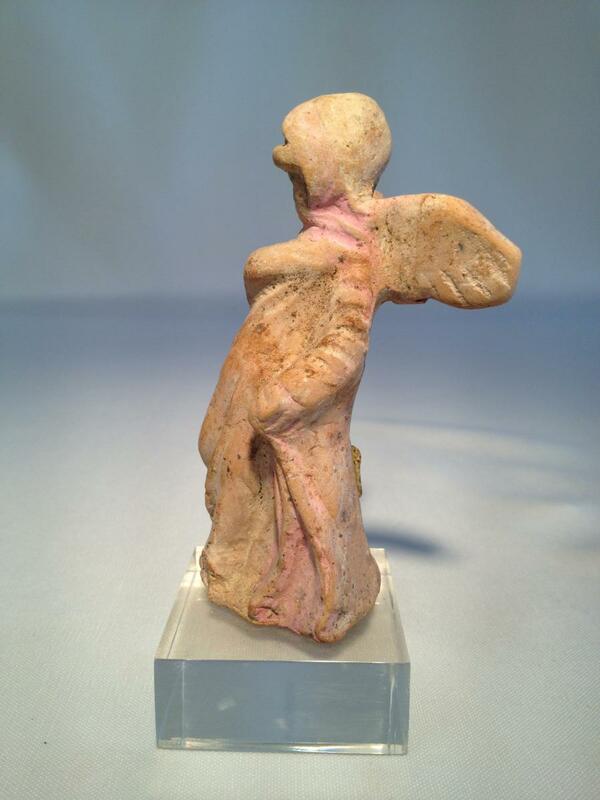 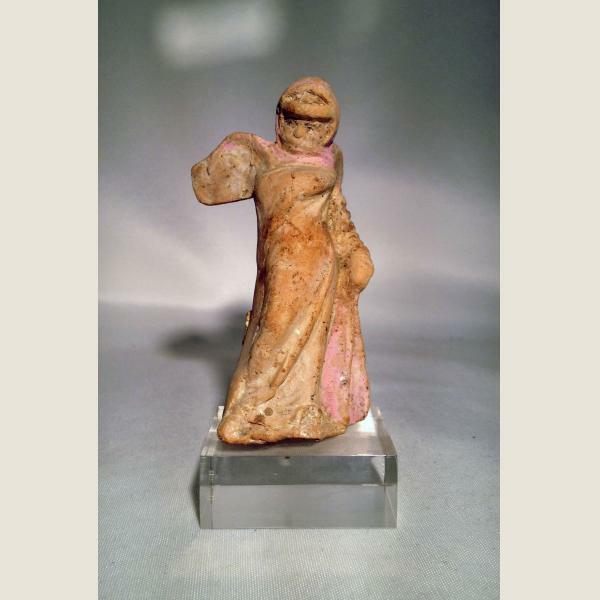 A lovely draped terracotta female cherub figurine with some of the original slip and pink polychrome remaining. A pair of expressive eyes and her nose showing over her veil. 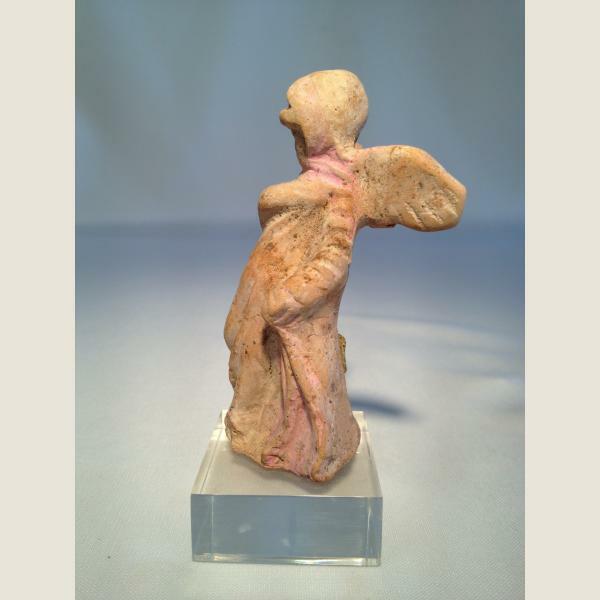 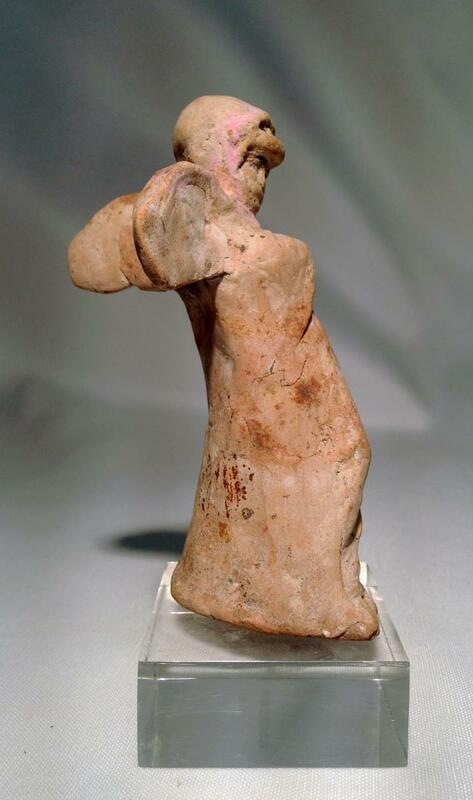 A very charming example of Greco Hellenic terracotta sculpture and craftsmanship.